This engraved Classic Pewter Cup is 30.5cm high and made from quality sheffield pewter. The base of the cup is also pewter, and so can be engraved on the cup and base. 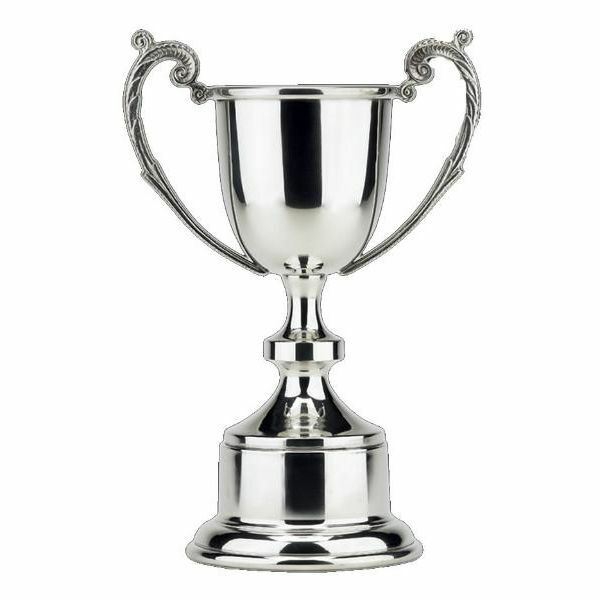 Up to 20 characters engraving on the cup and 50 characters on the base is included in the price of the pewter cup. Additional characters to personalise your cup are charged at 15p/letter. For an additional cost, an extra large size of this pewter cup, 35.5cm, is available. The engraved Classic Pewter Cup is postage band B.